A refreshing and fulfilling meal in the hot weather. 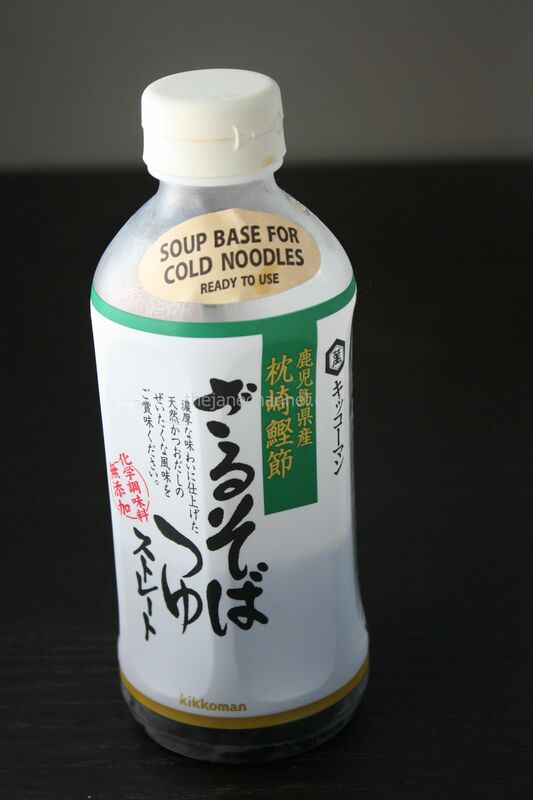 First, cook the soba (Japanese buckwheat noodles) and rinse with ice cold water. 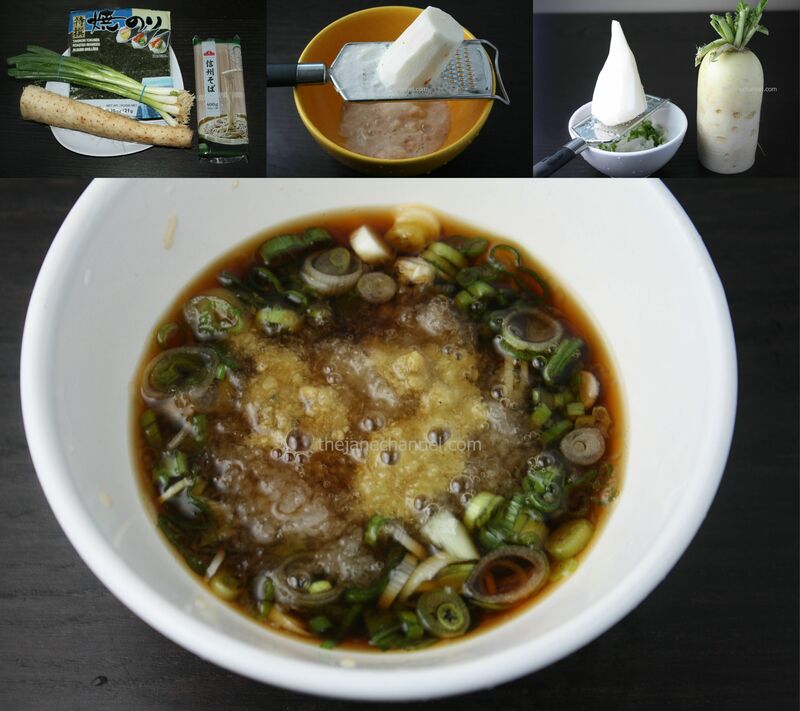 Then prepare the cold dipping sauce with wasabi, scallions, seaweed, and radish. 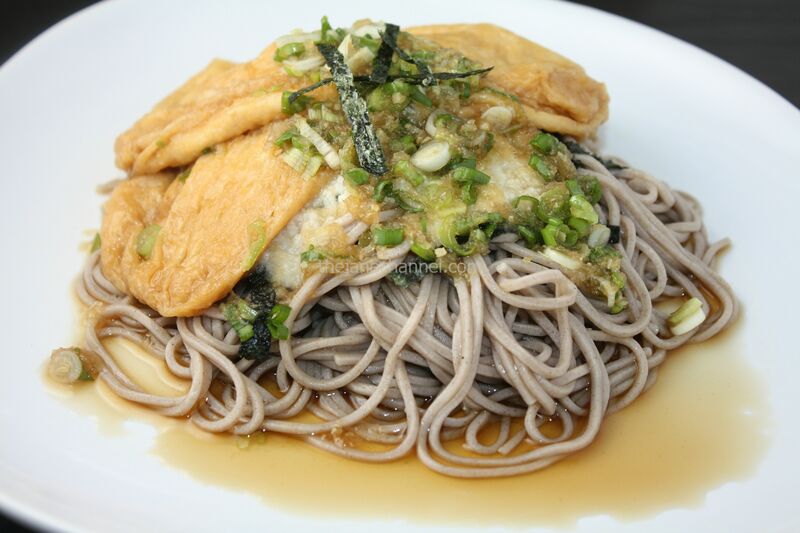 You may serve the noodles with flavored deep fried tofu pocket (abura age) as Kitsune Soba or simply serve with tororo – a puree of grated yamaimo (Japanese yam). In this case, I’ve combined both Kitsune soba and Tororo soba in one dish. Blanch 1 pack of abura age (5 pieces) in hot water for 20 seconds. Drain and set aside. 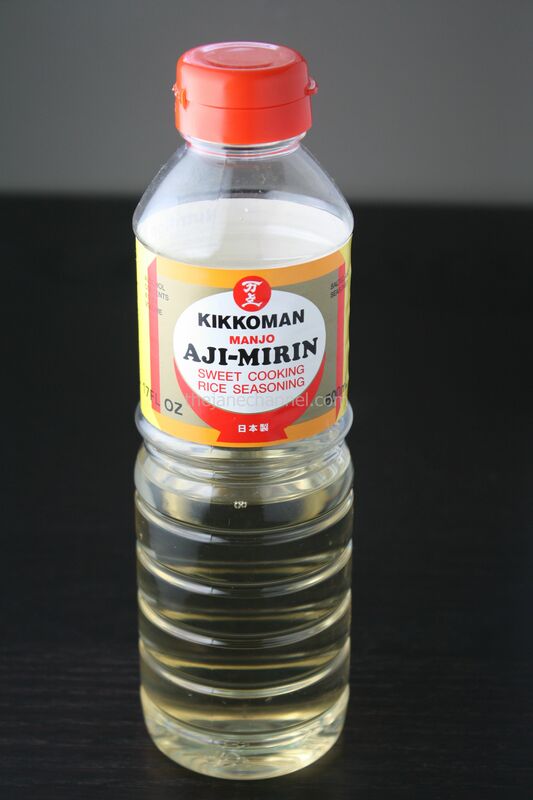 In a small pot, combine 3 tablespoons mirin, 2 tablespoons Japanese soy sauce and 1 tablespoon sugar. Add abura age into the pot. Cook over medium heat for 20 minutes, or until the liquid dries up. Chop finely two stalks of scallions. Kitsune Cold Soba with Tororo. Cook the soba noodles according to the package direction. Drain with ice cold water. Set aside. 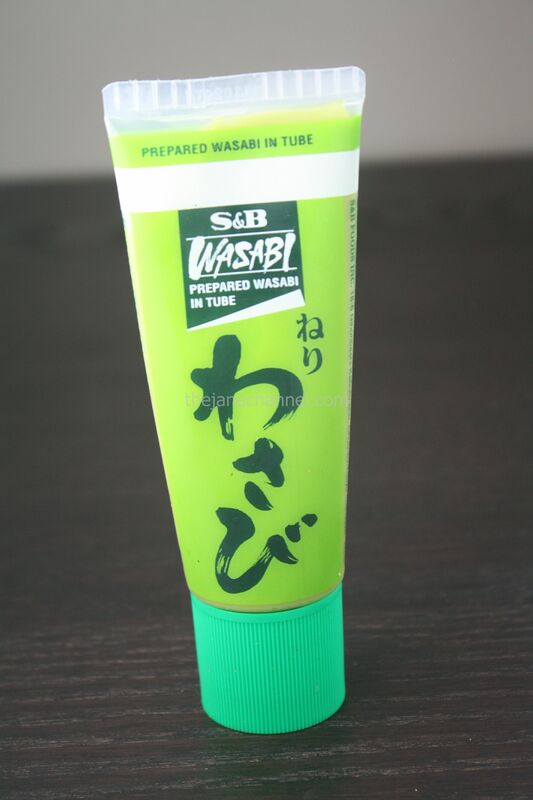 Cut one sheet of seaweed into thin strips. Place noodles on plate. Top with seaweed, abura age and tororo with the dipping sauce. Your pictures are so preettaayyy!